We at Clay County Abstract, LLC pride ourselves on being locally owned and operated. 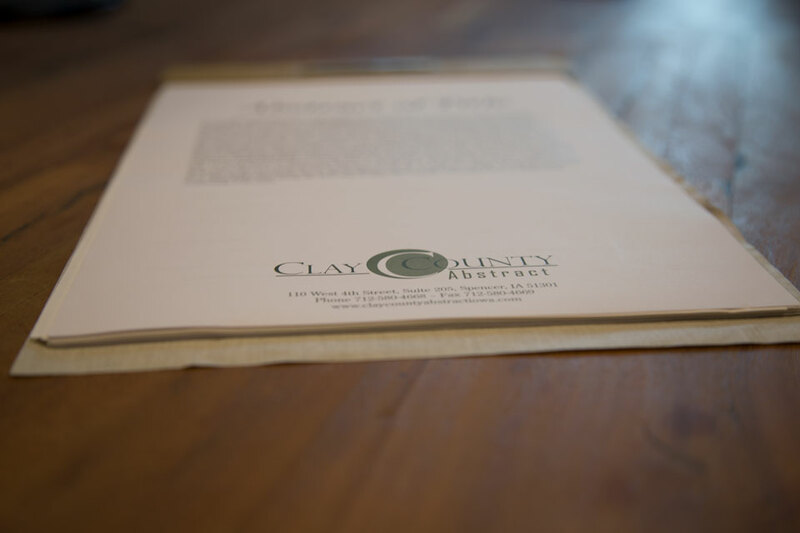 Our abstractors live in Clay County, know Clay County and focus on Clay County. Our abstractors have worked together for approximately 15 years, which enables us to provide you with the most efficient, accurate and consistent service available in Clay County. We provide services for commercial, agricultural, and residential real estate transactions. Serving the following communities in Clay County: Cornell, Dickens, Everly, Fostoria, Gillett Grove, Greenville, Langdon, Peterson, Rossie, Royal, Spencer, Webb. 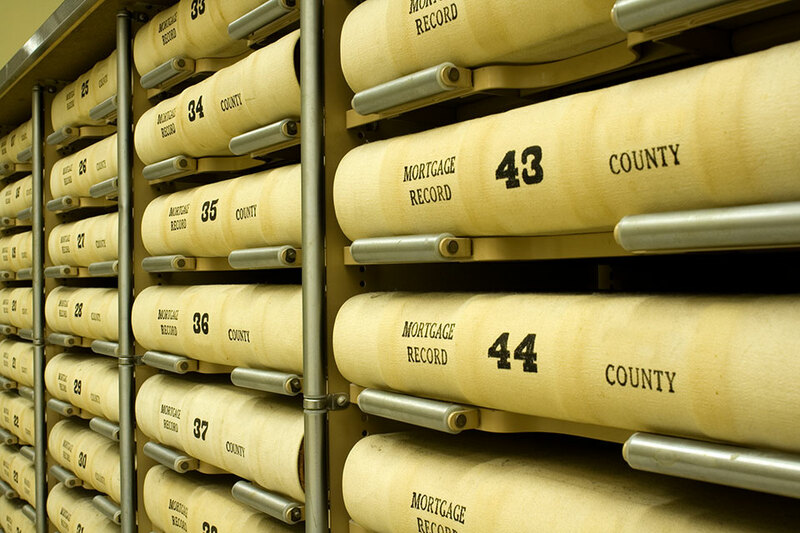 An Abstract of Title is a history of all title transactions shown in the public records affecting a particular piece of land. Every time real estate is exchanged, abstracts are updated to ensure the legal record of ownership is documented. By current State law, to be a marketable title, an Abstract must contain at least a 40-year history of the real estate. Abstracts are important for all land transactions in Iowa. When searching the records an abstractor must refer to many different sources to verify that the title to a parcel of land is true and correct.